The leaseholder of a London convenience store and connecting apartment above has been sentenced for breaking fire safety laws, reports the Brixton Blog. 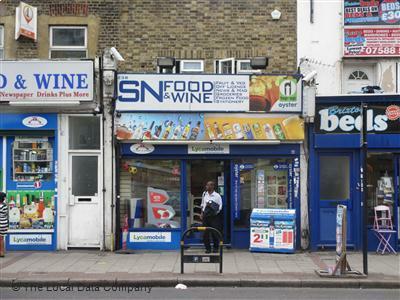 Arunthavachelvan Jegatheepan, who ran S N Food & Wine, was prosecuted by the London Fire Brigade for a series of fire safety offences following two inspections at his premises on Brixton Road in Stockwell. Mr Jegatheepan was handed a two-month suspended sentence, told to pay £8,00 in court costs and given 100 hours of community service by the Inner London Crown Court on 6 May. Landlord’s insurance is a requirement of buy-to-let houses, holiday cottages, and other commercial premises. Landlord’s insurance will also cover you for a broad range of new circumstances, including property owners’ liability, damage to property and subsistence. Additionally, those running a retail company should consider Business Insurance, which offers things like business interruption cover. Mr Jegatheepan pleaded guilty to breaching four fire safety laws covered under the Regulatory Reform (Fire Safety) Order of 2005. This apparently included breaching a notice, issued after the London Fire Brigade’s first inspection, preventing the shop owner from using his first-floor apartment as either sleeping or living accommodation. A follow-up inspection found people still sleeping on the floor of the apartment, and discovered that there was no power for the fire alarm panel in the building. After sentencing, Dan Daly, the assistant commissioner for fire safety at the London Fire Brigade, said: “The accommodation above this shop could have put people’s lives at risk. If a fire had broken out anyone living and sleeping there would not have been able to escape safely.